Stanford University is the world’s leading research institution and is home to the nation’s premiere athletic conference, the PAC-12. Stanford’s commitment to excellence in both academics and athletics is no more visible than within the Stanford University Sports Medicine program, where the two merge seamlessly. The foundation of the Sports Medicine program is rooted in layers of educational development, with students, researchers, and professionals across all disciplines perpetually striving to advance their knowledge base and improve the healthcare provided to student athletes. This could not be more evident than in the four education based opportunities offered-the Advanced Post-Graduate Athletic Training Program, Stanford Clinical Affiliate Rotation, and the Visiting Healthcare Professional Experience. Stanford University offers an intensive 24-month advanced post-graduate athletic training employment through the Department of Athletics, Physical Education and Recreation (DAPER) and the Division of Sports Medicine of the Department of Orthopaedic Surgery. This unique program offers unprecedented educational opportunities, beyond that of a master’s degree, to further develop certified athletic trainers into versatile, advanced level clinicians. It combines exposure to multidisciplinary settings of clinical practice, laboratory based scientific research and testing, together with leadership development training – all set within the nation’s most challenging collegiate athletic and academic environments. To provide superior, hands on orthopedic sports medicine training from some of the most highly regarded clinicians in the United States. To ensure advanced skill development through a committed approach to the finest, most recent medical practices in the field of sports medicine. To optimize communication among a multidisciplinary healthcare model and thrive as part of a larger team atmosphere. To equip certified athletic trainers with the administrative experience necessary for leadership development. To facilitate participation in clinical research studies and testing protocols designed to prevent injuries, enhance athletic performance, and advance the field of sports medicine. For more information, please follow this link. If you have any questions, please contact the Fellowship Director, Tomoo Yamada. Applicants must have completed a Master’s degree in athletic training or related field, and be a BOC certified Athletic Trainer (or eligible). The Clinical Affiliate Rotation provides entry level students pursuing a degree in Athletic Training the opportunity to expand their clinical knowledge and application of skills within one of the nation’s most diverse medical communities. 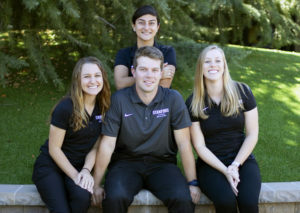 The primary objective of the Clinical Affiliate Rotation is to expose developing athletic trainers to unique clinical experiences while enhancing their understanding of a multidisciplinary approach to health care. Students will be assigned to specific athletic teams, and will have the opportunity to work closely with members of the Stanford Sports Medicine program in the day-to-day management of athletic injuries, provision of health care, as well as practice and event coverage. 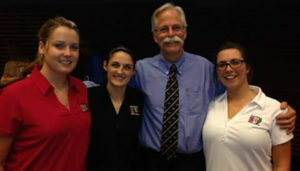 Currently, Stanford Sports Medicine provides formal distance learning environments within other CAATE accredited undergraduate Athletic Training Education Programs including Quinnipiac University, Marquette University, Florida Southern College, Colby Sawyer College, the University of Cincinnati, the University of Idaho, and West Chester University. 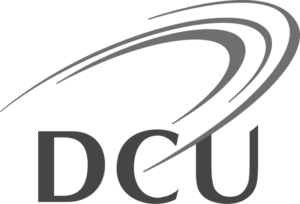 Students completing their studies that require work placement in athletic therapy, physiotherapy, or other related fields are encouraged to apply. Students will be asked to provide specific areas of desired experiences, and clinical rotations will be customized accordingly. Students will benefit from working alongside physicians, physical therapists, athletic trainers, and sports scientists to allow for a truly multidisciplinary experience. Rotations occur during the Fall, Spring, and Summer terms and must be approved by the Director of Athletic Training. For more information regarding the Clinical Affiliate Rotation or interested in establishing a clinical relationship, please contact Lindsy Donnelly or Justin Police. If you are interested in completing a rotation with Stanford Sports Medicine please fill out this survey and we will contact you and your program director. Stanford University Sports Medicine offers established international clinicians a unique opportunity for idea exchange, clinical growth and elite sports experience. Sports Medicine professionals currently practicing are encouraged to join us to fully experience our multidisciplinary model working hand in hand with our staff. 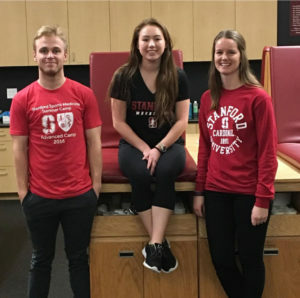 Clinical experiences include working directly with Stanford varsity teams, athletic trainers, sports performance professionals, and shadowing our staff physical therapists. Clinicians must have previous clinical experience and have direct interest in musculoskeletal injuries in athletes. 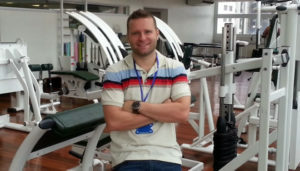 Previous clinicians include clinical and sport physiotherapists from England, Chile, Brazil, and Australia. For more information, and to apply, please contact Lindsy Donnelly.